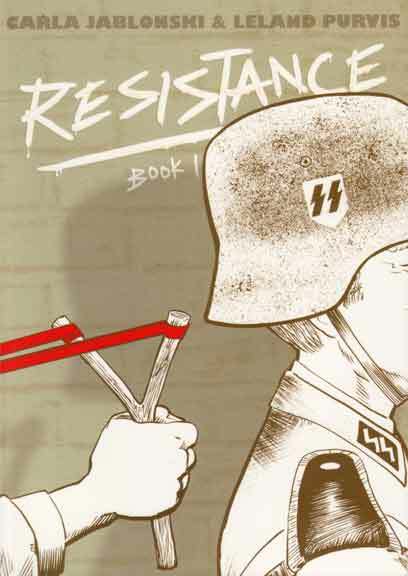 I had someone donate a class set of "Resistance" in order to further my comic book campaign in the classroom. I am very excited because it is my first set of non-fiction graphic novels, and I can seriously see myself teaching this book. I usually have novel studies during my reading hour, and "Resistance" seems like a perfect historical fictional book that I can use when I am teaching WWII. Thanks for the review! What a generous donator. I am excited for you. You know, our readers would really love to hear about your experience using RESISTANCE in class. Might you consider a guest post? Absolutely! Just let me know what you want and I would be HAPPY to contribute. Mr. Neibauer, email me at abikerbard@mac.com and I'll shoot you the details.